As seen in the hit series Arrow, Arsenal! Street-smart and impulsive, Roy Harper lives out every kid's dream when he joins forces with his hero, "The Arrow". Donning his own hood, Roy becomes the vigilante hero known as Arsenal! 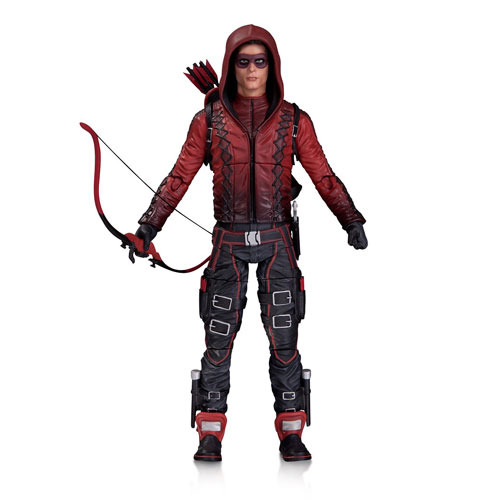 The 6 1/2-inch tall Arrow TV Series Arsenal Action Figure, based on the Warner Bros. TV show on The CW has multiple points of articulation and comes with his bow and arrows. Ages 14 and up.